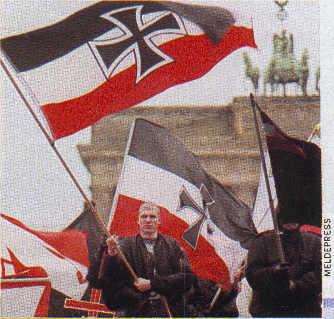 black-white-red with black-red-gold in the canton (the German Civil Ensign 1919-1933). 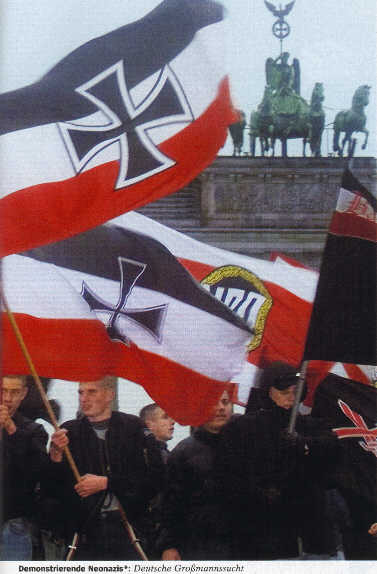 Issue 11 (12th March 2001) of the German weekly news magazine Der Spiegel, p. 76, showed this picture of a Weimar Republic flag on display at the shop of NPD party members in Ehringshausen (Hesse)  obviously because of the black-white-red colours. It is the state ensign 1926-1933.